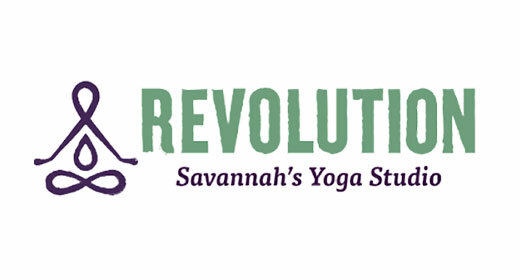 At Revolution, practitioners can explore three methods of yoga: Jivamukti Yoga, Ashtanga Yoga, and Heated Dynamic Vinyasa Flow Yoga. In addition to offering three traditional Jivamukti Yoga class types (Busy People Yoga, Open Level, and Spiritual Warrior), we also offer the Jivamukti In Class Private (ICP) along with a unique Candlelight Restorative Yoga class. Our Ashtanga Foundations classes begin with the traditional Ashtanga opening mantra and gently transition into a varied pranayama (breath control) practice. This pranayama is sustained throughout sun salutations and holding posture portions of the Ashtanga primary series. The end of class slows down with a sitting meditation which transitions into a relaxing savasana. Each class ends with the Ashtanga closing mantra leaving you feeling empowered and part of this powerful Ashtanga community. Our Heated Dynamic Vinyasa Flow Yoga classes provide a revolutionary approach to the practice that focuses on connecting breath with movement through creative and intelligent sequencing accompanied by music, joy, humor, and a grounded intention. Class offerings are suitable for those who have never stepped foot on the mat to the more seasoned practitioners aiming to deepen their practice and transform their life.